Home » Blog » Life as a Human Being: The Structure of our Playground! The flow of consciousness organises itself in a magnificent structure to serve you as a human being and offer you the possibility to experience and integrate. You embark on this fascinating exploration with a card from the ChancesToChange board game. This card describes the triad between soul, biological family and your spiritual family. Your soul is an immortal aspect of you. Your soul is a record of all your feelings, emotions and actions throughout your entire life and all of your other life experiences. Your biological family is your parents, their parents, your ancestors and any children you may have. The spiritual world is part of the unseen reality of life through the universe and the galaxies. It is inhabited by spirits that have different gradations of light and darkness just as it is on earth. This article sits with the important and challenging question: How can you weave those three aspects throughout your life as a human being? What do you need to experience life as a human being? How does the playground look? A close-up of the earth-bound dimensions. You definitely need a planet to live on and a body to partner with. You also need a playground with boundaries in space and time to allow you to experience and fully live your life as a human being. The starting point of all this is the flow of consciousness organizing itself into a structure that enables you, as a spiritual being, to experience what it is to be human. Consciousness is the fabric of everything. Out of consciousness all else is created and everything returns to the source of consciousness. Consciousness begins to create the intelligent design of the earth and all life on it. As you have heard in many creation myths or origin stories which can be found in religions and indigenous cultures. Our bodies are an integral part of this intelligent design of the earth. All that consciousness creates also has its own part of consciousness contained in it. This enables a further unfolding of the evolutionary purpose after its creation. A dimension is a means of organizing different planes of existence according to their vibratory rate. Each dimension has certain sets of laws and principles that are specific to the frequency of that dimension. Inhabitants of each dimension have a different perception of what happens in the universe and in other dimensions. As you can see above some dimensions are more related to the earth and some dimensions are more related to the spiritual spheres. In order for us to have the fullness of our experience as a human being we ideally need access to as many dimensions as possible and to be able to travel between them. This is what it means to be and become a multidimensional being. A close up of the earth-bound dimensions. The first dimension (1D) is the deep core of the earth. The second dimension (2D) is covering the core and extending to the surface of the earth. The third dimension (3D) extends from the surface of earth. The 3D reality is bound through time and space. This is what gives you your day-to-day life which you perceive through your five senses. The fourth dimension (4D) is also an earth-bound dimension. It is your portal into the collective consciousness and offers access to levels which have a higher vibration. A close-up of the fourth dimension. 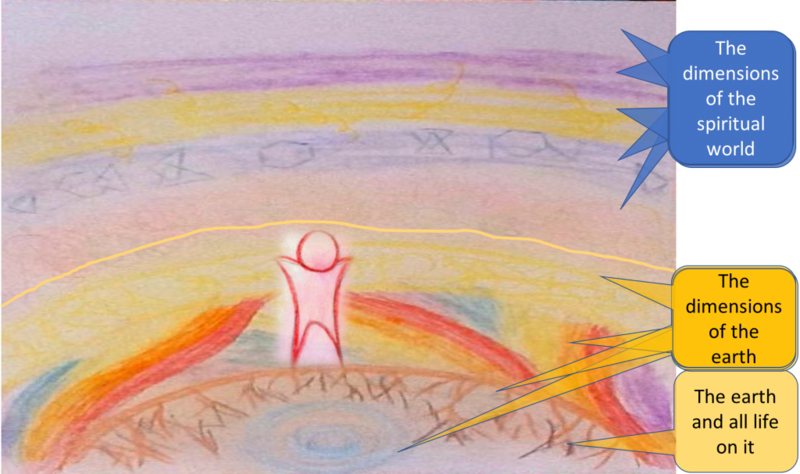 If you look at the image, you can discern a barrier (a yellow line) between the existing dimensions of the spiritual world and the dimensions related to the earth. It is not really a barrier, the fourth dimension functions as a diaphragm. 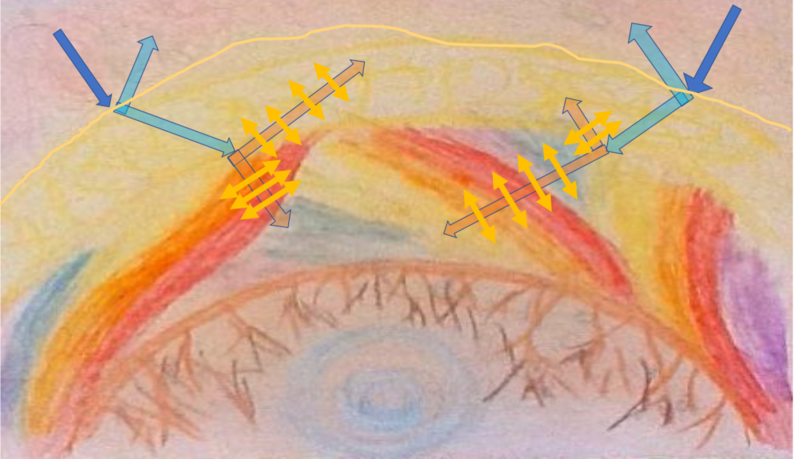 Energy beams (the dark blue arrows) hit the outer border and fracture into two different beams (the light blue arrows). One beam returns to the spiritual dimensions and one enters 4D. This enables a natural protection of the earth from the powerful energy beams of the higher dimensions, which are partly reflected back to their origin. As the beam (light blue arrow) continues its journey through the levels of 4D and arrives at the interface with 3D, the beam fractures again into two beams (the orange arrows). These beams travel back into 4D and into 3D respectively. Along their journey they fracture into opposites (the yellow small arrows). Opposites spread through 3D and 4D, creating duality. We have earth and all life on earth. We have bodies belonging to this intelligent design and we have a playground with duality as a fascinating ingredient. We have a biological family that belongs to the earth-bound dimensions and our ancestors who spread their lineage out into the spiritual realms. Our spiritual family inhabits different spheres in the spiritual dimensions and also in the earth-bound dimensions. It seems as if the dimensions are separate from each other although in fact they permeate each other. This article offers you a glimpse of the fascinating structure which consciousness creates for you as a spiritual being to play, experiment and experience. 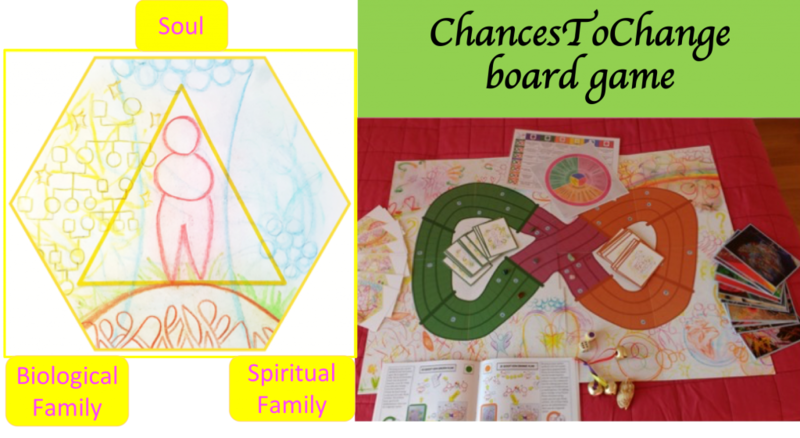 The ChancesToChange board game is an exquisite guide on your path and can become a bridge for you to visit different dimensions. The next article brings you into contact with your inner highway – always available to support you on your multidimensional journey. 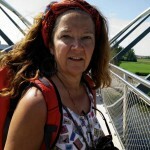 Each day I add a bit more colour to the world, I colour within and outside of the lines as I take up different roles. My different roles are a social entrepreneur, a physician, a coach, a teacher, a therapist and most of all a facilitator of emerging possibilities.